For some time the four parish and village councils in the CR3 area have been developing their own statutory Neighbourhood Plan as we have felt we cannot leave all our planning decisions to people in Oxted. The organisers of the Neighbourhood Plan are having a public meeting on Friday 12th February at Hillcroft Primary School Chaldon Road Caterham on the Hill to explain why the Neighbourhood Plan is the most powerful response to the Tandridge Local Plan, which is causing such public concern. If you are concerned about the plans Tandridge are consulting on, come and hear the local experts and learn how we have a powerful way of fighting back. The Neighbourhood Plan will go to a referendum locally and have legal power. Let us answer your questions and come and hear how together we can reclaim planning decisions for Caterham, Chaldon and Whyteleafe. 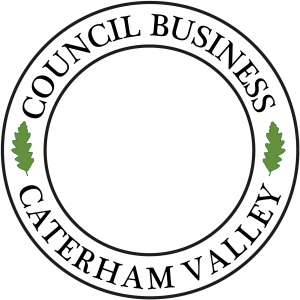 Speakers will include Cllr Chris Botten, Chair Caterham on the Hill Parish Council and of the CR3 Forum and Cllr Geoff Duck, Chair of the CR3 Steering Group.